DOCS provides you with great benefits. As a subscriber you will always have access to world class doctors right at your finger tips. Immediate access to a physician at any time and from anywhere: this means that you are not confined to receiving care during the routine office hours of your primary care physician. Reduced cost of accessing healthcare services: reduction in the number of unnecessary visits to physicians and emergency departments which translates into real cost savings for you. Reduce or eliminate after-hours physician and emergency department fees: these fees are often times more expensive than the cost of a routine physician visit, with Hello Doctor from DOCS these fees can be avoided by simply calling our medical advice service hotline. Reduce excessive prescription medications and laboratory testing: excessive prescription medications and laboratory testing that often result from defensive medical practice is minimized when patients receive medical instruction on self-care with the use of over-the-counter and common household remedies. Get more done and save more money: eliminate travel cost and lost of productivity particularly for rural patients who have no choice but to incur high transportation costs and forfeit well needed income to receive basic care. 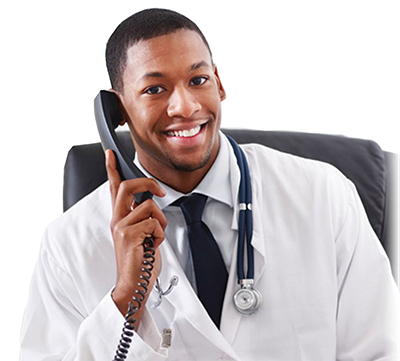 Avoid the hassle of waiting in a clinic: the plague of long wait time in public and private healthcare facilities can be avoided by accessing a qualified medical practitioner over the phone with DOCS Hello Doctor medical call service. It does not matter where you are: you can access highly trained and experienced healthcare providers over the phone with DOCS Hello Doctor without the constraints of geographical location. Preventative and proactive healtcare: improved outcomes due to earlier interventions because you have the option of calling a physician through Docs Hello Doctor from the initial onset of your medical problems. At this earlier stage cost of care is significantly lower and less complicated. Invaluable “peace of mind”: isn't it a great feeling knowing you have access to expert advice of a physician 24/7/365 to help you make informed medical decisions for you and your family? Now that you how much DOCS Hello Doctor can make your life easier why wait? subscribe today! !